The majority of the 50,000 historical correspondence (or nominal) files in the V&A Archive document the acquisition and loan of museum objects. Some, however, contain correspondence and papers of a more general nature. In the file for George Charles Beresford (1864-1938) we find a combination of acquisition papers and visitor feedback, the latter prompted by a trip he made to the V&A in 1931. 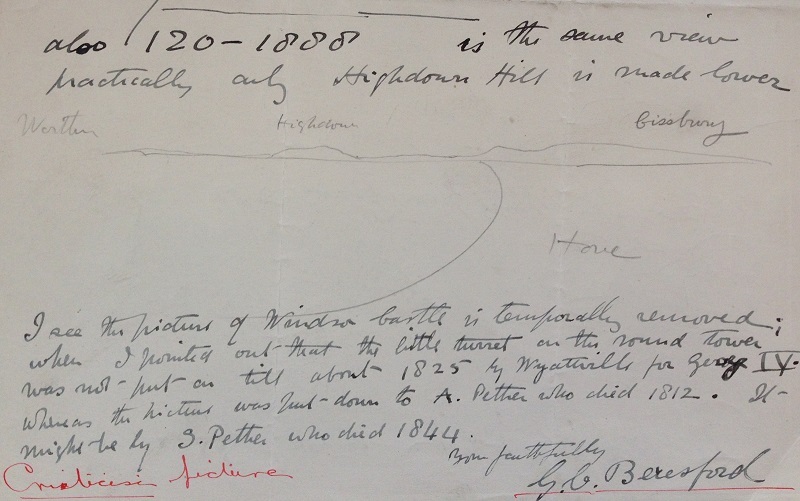 On 3 May, Beresford, a photographer who kept a studio just up the road from the V&A at 20 Yeoman’s Row, wrote to the Museum’s Director, Eric Maclagan, to suggest some corrections (or enhancements) to the labels for four paintings currently on display in the galleries. Beresford had evidently studied these labels closely, comparing their descriptions with the topographical and architectural features on the art works before him. 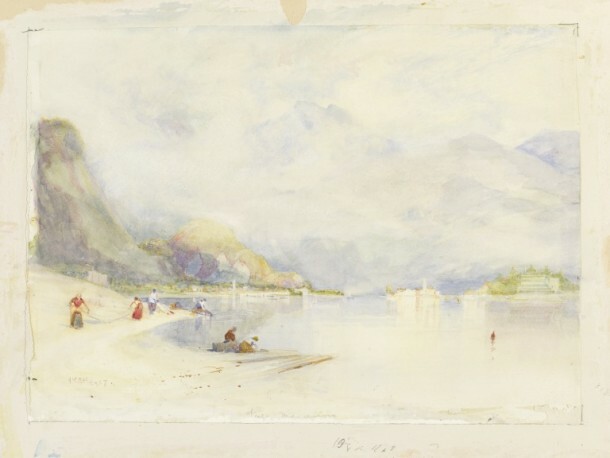 Of Sir Alfred East’s watercolour A View of Lago Maggiore Beresford observed: ‘This view is said to be taken from Stressa: whereas it is taken from Baveno … The place is so well known that it is almost worthwhile correcting it’. He illustrated his argument with a couple of pencil sketches showing the differing positions of the islands when viewed from the vantage points of Baveno and Stressa. 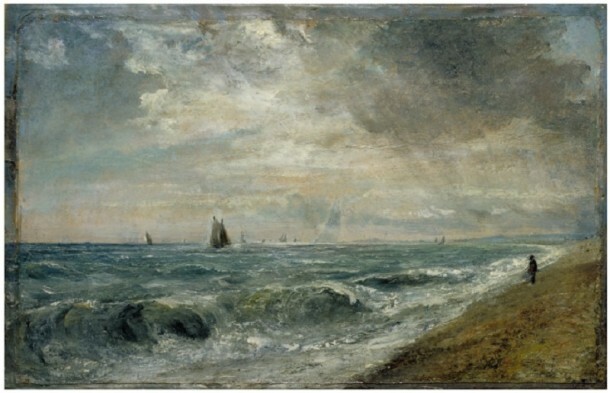 Beresford also turned his critical gaze upon the labels of two paintings of Hove Beach by John Constable. 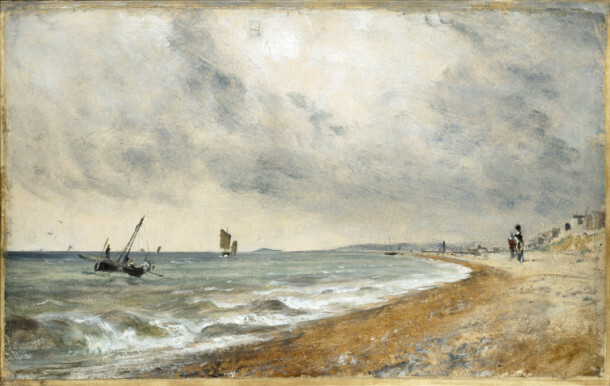 ‘This view is taken from Hove beach looking towards Worthing with Highdown Hill & Cissbury rather plainly marked’. ‘[This] is the same view practically only Highdown Hill is made lower’. 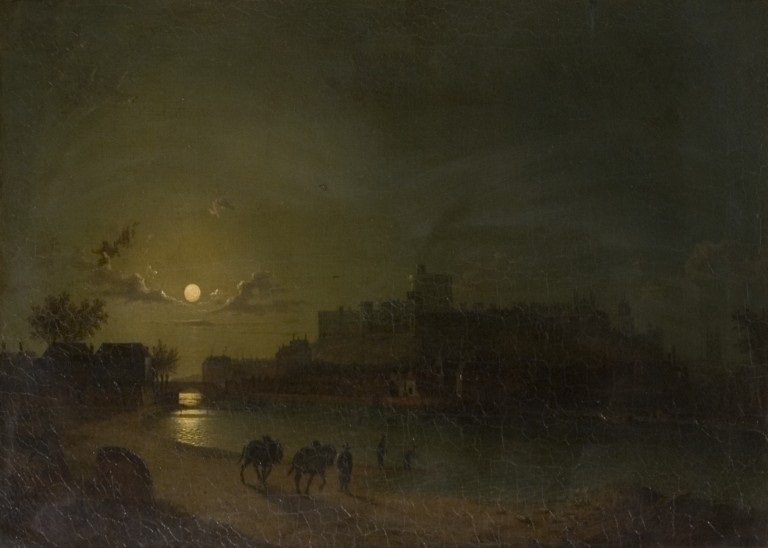 Finally, Beresford argued that the attribution to Abraham Pether (d. 1812) of the oil painting Windsor Castle and Town by Moonlight could not be correct as the little turret discernible on the round tower was not constructed until 1825. He suggested instead that the painter could plausibly be Sebastian Pether, who died in 1844. Mr. Martin Hardie … who has stayed at Stressa and has made drawings there, is quite sure that East must have made this water-colour from Stressa. 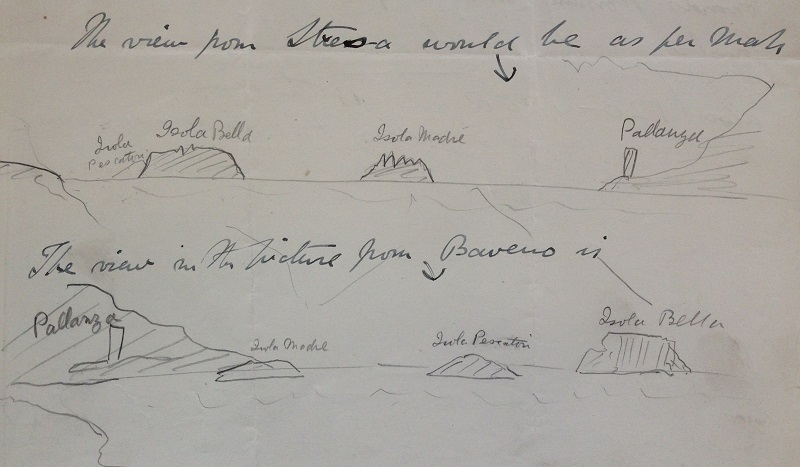 He points out that the Isola Madre does not appear in East’s drawing, and that the two islands shown are undoubtedly the Isola Bella and the Isola dei Pescatori, with Baveno on the left. 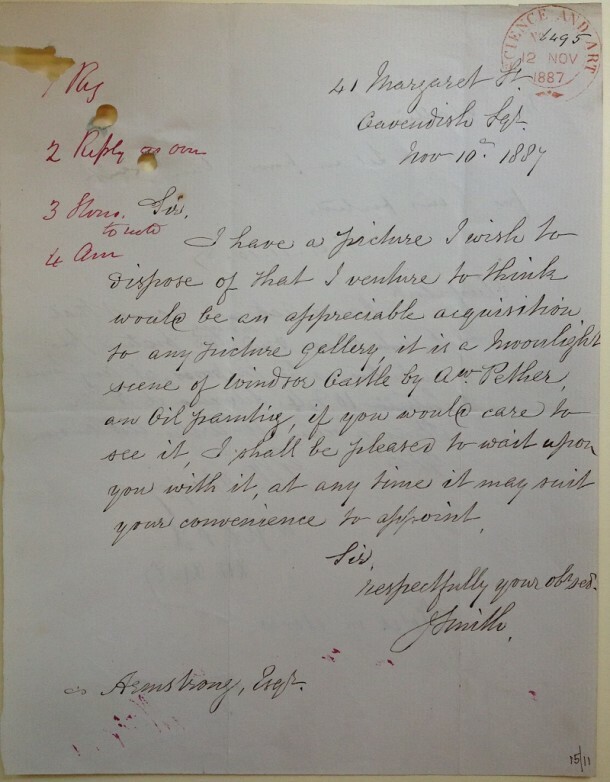 There is no further correspondence on file relating to this matter, which suggests that Beresford may have conceded this particular point.